I just finished reading an old pamphlet called A Tiger by the Tail: The Keynesian Legacy of Inflation (London: Institute of Economic Affairs, 1972), by Friedrich Hayek, an interesting little collection of Hayek's writings on Keynesian economic policy. Interesting -- though dry -- reading in these times of financial bailouts and stimulus packages. I admit that I love reading Hayek, and am more or less a follower. I am, however, not an uncritical follower. His arguments often have a disarming surface plausibility, until you really stop to consider their implications. 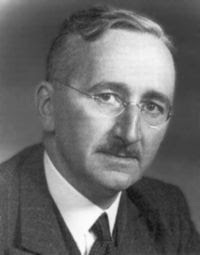 Hayek argued that Keynesian policy was to inflate money wages while reducing real wages, through increases in the money supply. In other words, government policy is to satisfy workers by giving them the illusion that their wages are increasing. At the same time, government spending policy creates "full" employment (by reducing real wages). For their part, trade unions have a hand in this pernicious process, making wages downwardly rigid by locking in relative wage differentials in the name of "social justice". Hayek's preference was to dismantle this whole system and let wages float up or down according to the prevailing demand for different skills, etc. This would mean no longer trying to preserve a relative wage differential between different occupations; some wages would rise while others fall. Sounds reasonable, yes? No. At least not in a modern knowledge economy. Hayek always seems to have in mind unskilled labourers, who can move from occupation to occupation as demand requires. However, with highly skilled labour, there is a sunk cost effect: If I have spent many years and much money training for a particular occupation, I cannot so easily pick up, move on, and retrain at the drop of a hat. As importantly, I cannot be expected to do so cheerfully, and without a sense of grievance. Granted, this last is a political consideration rather than an economic one. But it is one based on human nature, and policy makers and economists ignore human nature at their peril. A friend of mine posted a little video of Friedman talking about minimum wage laws (predictably he didn't like them). What do you think. I sometimes agree with him; some of the effect of minimum wage laws is to make certain categories of work untenable and to make very unskilled labourers wards of the state (i.e they must collect welfare as work at very low wages is unavailable.) The flip-side, of course, is the potential race-to-the-bottom problem. Although he was a little vague on specifics, Hayek himself seemed actually to propose some sort of a guaranteed minimum income (although I gather in would be VERY minimal), which I supposed is an alternative approach to a minium wage. He rightly believed that faith in capitalism would be irreversibly discredited if anyone in society were allowed to starve. As for certain kinds of work becoming untenable due to minimum wage laws, that sounds prima facie plausible, but, as always, the devil is in the details: Which occupations are we talking about here? And can those employers REALY not afford to pay the minimum? If they cannot, then perhaps such businesses must be allowed to fail (after all, labour is a commodity like any other, ideally subject to the same market forces, and an employer has no more a RIGHT to labour at his preferred price than he has a right to a cheap Ferrari). I agree with you entirely vis a vis employers having no right to cheap labour. These days though (these days being the past 20 years or so) welfare recipients (which is what you have to be if you have no skills that anyone is willing to pay for) are such political footballs that I wonder if it is in fact any less humane to have people labouring at sub-par wages than to have them jumping through stupid hoops all the time at the behest of appalling politicoes. The minimum guaranteed income would possibly go some way to addressing this conundrum. Hugh Segal has been trying to raise interest in something like this for a few years now. I don't know what kind of resistance there is to it, or what the effect would be on things like inflation. Nor am i certain it would be any less subject to political interference. But it certainly bears thinking about.